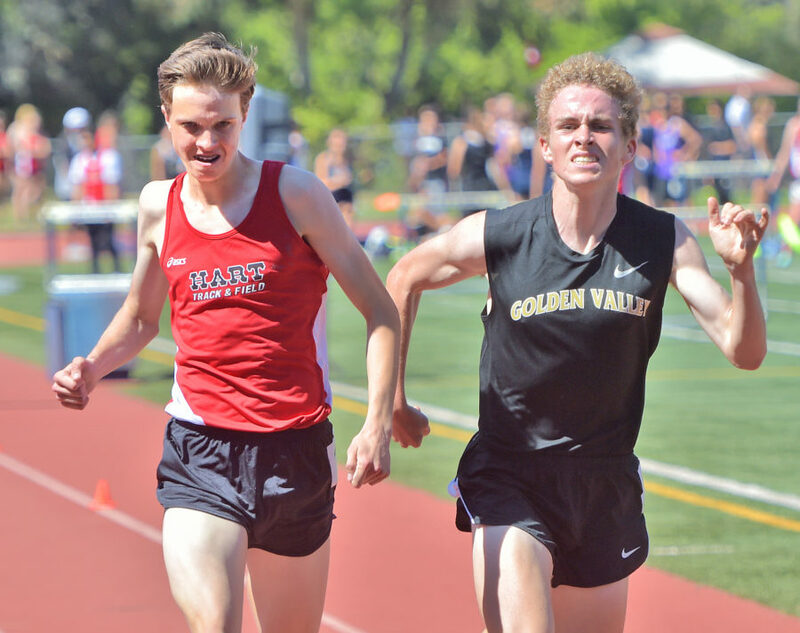 TORRANCE – As a freshman, Trinity Classical Academy’s Solomon Strader was slightly awestruck in the track and field postseason. This year, as a sophomore, he was determined. “Freshman year I didn’t really know what to expect,” said Strader. “I was kind of new to everything and I knew I wanted to make it here, but I didn’t really think I could make it to state. This year (I was) a lot more confident.” A focused Strader secured a spot at the CIF state meet in the 200- and 400-meter races at the CIF-Southern Section Masters Meet at El Camino College on Saturday. He came in second in the 400, clocking 47.49 seconds. Murrieta Mesa’s Matthew Okonkwo edged him for first place with a time of 47.47. In the 200, he came in sixth at 22.06.